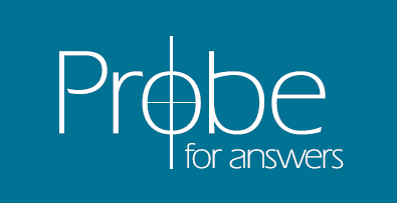 Four Probe staffers answer the question, “What is apologetics?’ from their own experience and understanding. Apologetics is the defense of the Christian faith, generally speaking. That’s the definition of the word. But, that’s about the extent of the agreement among Christian apologists. From this point on begin many differences. Many well informed Christians define apologetics differently. When it comes to how we defend the faith, there is a lot of discussion on the best method. When it comes to why we do apologetics many disagree. Thoughtful Christians do not agree on the best place from which to begin defending our historic Christian faith, and we certainly don’t all agree on who apologetics is for, that is, who is the intended recipient or beneficiary of our defense of Christianity. However, as we begin a discussion on these questions, it is important to keep in mind these differences occur among faithful Christians, sincere believers, and are well intended. So these differences are not a salvation issue—that’s about faith in Christ. Airing out these differences then, is a fulfillment of Proverbs 27:17, “As iron sharpens iron, so one man sharpens another.” It is our hope and expectation as the writers therefore, that all Christians will be edified by this discussion whether they have walked with Christ for thirty years or thirty days. Regardless of how we define apologetics, we are all still called to defend our faith. The point of this discussion is not the discussion itself. The point is to equip us by the Spirit in the action of defending our faith, as we obey the call of our one common Lord Jesus Christ. In this article you will become well-acquainted with the idea that apologetics basically means defending the gospel or defending the faith. That is how I have always understood apologetics. But in my nearly forty years with Probe Ministries I understand that my “defense” goes in two directions and I believe that to be the case for every believer. Apologetics was instrumental in my initial profession of faith while a college student at the University of Illinois. Though I was raised in a religious home, it was primarily a religion of duty and performance. But in my second year of college I became aware that there was real evidence that the gospels could be trusted and that Jesus was a real person who lived and died in early first century Israel. That made a huge difference in my willingness to consider Jesus that was never there before. That was just over forty years ago, and evidences for the truth of the history of the Bible have always held a unique place in my thinking. As one trained as a scientist, I learned that data or evidence meant everything. Ideas are fine in science but if you can’t support your ideas with evidence, you’re wasting your time. Therefore, finding real evidence for my faith put my own thoughts on solid ground. So it can be for every believer. We all struggle with trust in God and in His love for us. But if we are able to see that God fulfills prophecy, that His Word is trustworthy in every respect, then we find it easier to trust Him with our lives. The other direction for my defense of the faith is outward to other believers who have real questions and find themselves stuck in their walk with God. Their mind is full of doubts about God, Creation, and redemption. While I make it clear that I cannot prove that God exists, I can string together evidences from science and philosophy to demonstrate that belief in God as Creator is quite reasonable. And if the best evidence demonstrates that Jesus physically and historically rose from the dead, then everything He said can be trusted as well. This also applies to unbelievers who come with honest questions. Those outside the church have many reasons for not believing that this rather fantastic story is true. Especially when it all happened two thousand years ago! There are definitely some unbelievers who ask their questions only to avoid getting down to business about Jesus. But initially, we can’t judge a person’s heart or motive. When we take those questions and doubts seriously and respond with gentleness and respect, both our manner and our answers can be used by the Spirit to draw someone to the Father. Apologetics is the most misunderstood word in the Church today! Average church-goers relegate it to a side category of their minds as a hobby horse for those “smart” Christians who are too cerebral and not practical enough. Apologetics appears to them as the playground of theologians, far removed from the lay Christian who thinks the true gospel ministry consists of “just preaching the Word” irrespective of the Church’s cultural setting. Theologians contribute to the popular aversion to apologetics through misrepresenting the discipline as a branch of theology that seeks to give a rational justification to the claims of Christianity that is theoretical in nature as opposed to practical. Others separate apologetics entirely from theology: “If theology is the queen of the sciences, apologetics is her handmaid.” This is the Rationalist approach. Apologetic theology maintains the integrity of the two poles of message and audience. It must never compromise the essential meaning of the gospel, nor can it neglect the spiritual needs of the society it wishes to reach through ignoring or ridiculing whatever ultimate questions it presents. All theology is apologetics, and by extension all that the Church does is apologetically oriented. The adaptation of contemporary music in the worship service demonstrates an apologetic theology that takes the traditional message of the gospel of Jesus Christ and makes it resonant with the cultural needs of the younger generation. The same may be said with the use of film or any artistic, religious or philosophical expression. For example the 2013 Superman movie Man of Steel retells the story of Christ in modern allegory in the context of American individualism. It asks the question, can individuals practice personal freedom and exercise the self-restraint necessary for a democratic society to survive? Revelation answers that in Christ personal freedom is rooted in the love of God that provides necessary restraint. As its task, apologetic theology answers the world’s questions with the Bible and proves practical and accessible to all Christians, trained in theology or not. It stresses the Bible’s universal relevance to every individual, group and circumstance or philosophical system. In 1 Peter 3:15 we’re told to “give a defense to anyone who asks you for a reason for your faith.” The roots of Peter’s exhortation can be found in Isaiah 8 where God warns His people to stand firm when the enemy attacks, and in Luke 12 and 21 where Jesus tells His disciples what to do when persecutions come. In both passages in Luke, Jesus uses the word that is translated “defense” in Peter’s epistle. In Luke 21:13 he says something interesting: “This will be your opportunity to bear witness.” I see two main exhortations here: faithfulness and witness. Elaborate arguments and evidences can serve that. But defense ought to be conducted for the purpose of proclaiming Christ and winning the lost, not merely to prove Christianity true. That is too low a target. Apologetics with non-Christians can include the defense of Christian doctrines, challenges to other beliefs, and persuasion. To be done well, these require knowledge of at least basic Christian doctrines and the ability to discriminate between the true and the false. That skill can be applied in a variety of areas such as theology, philosophy, history, culture, and the broader human experience. If we should attempt to persuade someone by making a case for the faith, where do we begin? In one respect, we should begin with questions that are being asked rather than with our own pet arguments. But in another respect, we should begin as Christians, thinking and speaking within the context of Christian beliefs, rather than attempting to stand on some neutral ground with unbelievers to look at evidences together. One mistake younger apologists can make is deciding to find some non-Christians and “do apologetics” with them. This is to focus on the arguments and not on the listeners. Apologetics provides tools for Christians to use along with the tools of proper Bible interpretation, counseling, practical hands-on help, and other things as needed in the context of proclaiming the gospel of Jesus and drawing people to Him. Apologetics serves not only non-Christians but Christians by clarifying the differences between Christian and non-Christian beliefs and by showing why our beliefs are intellectually credible. This should serve to strengthen our faith. When I tell someone I meet at church that I’m into apologetics, the most common response, I get is, “Huh?” After I tell them what it means, perhaps the next most common response is, “What are you sorry for?”, inferring from the similar sound of the word “apology” that I must be apologizing for something. While the root word in Greek is the same for both words—apologia. these words in English have rather different meanings. So, I will begin my turn at defining apologetics by clarifying what it is not. Apologetics is not being sorry for Christianity. Let’s make that clear right now. I am not sorry I’m a Christian. On the contrary, Christ is the source of all my boasting. He is the source of my joy in my life. It is Christ who gives me purpose, meaning, even significance. No, apologetics is not being sorry for Christianity. Years ago I had lunch with a friend one Sunday after church and explained to him what I do–apologetics. After using 1 Peter 3:15 to define it as making a defense for the faith, he responded by saying our faith should not be defensive, but offensive. My friend got one thing right—our faith does have an offensive component. But, my friend also got one thing wrong. The command to defend our faith does not describe the entirety of our experience as a believer. This passage does not mean that our faith should be entirely defensive, or even primarily defensive. We should, however, have the capacity to defend our faith. To conclude my definition and this series, I will share a recent change in my perspective over the years. When I first began studying apologetics years ago, I did it to seek affirmation of my convictions. To be honest, I studied not to “show myself approved” (2 Timothy 2:15), but rather to satisfy a sense of self-righteousness. I did apologetics in order to show others I was right and they were wrong. Scripture calls that pride. And, although that’s no longer my primary motivation, the struggle remains today. It’s not that I no longer think I’m right. I do think the positions I hold are right, but as an apologist my goals have changed. I no longer expect others to take the same positions I do. Now, I desire others to think more biblically than they did before. My hope for you reading this article is that your reasons for defending the faith are motivated more by Christ than by culture, and that by considering what it means to defend your faith you are now a more confident ambassador for Christ. Changing Hispanic Demographics and Religious AffiliationIs Theistic Evolution the Only Viable Answer for Thinking Christians?